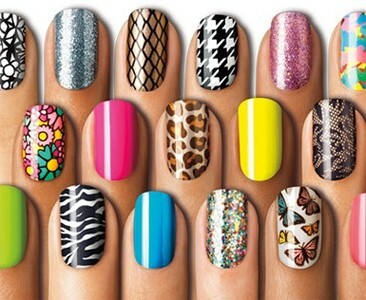 New obsession! 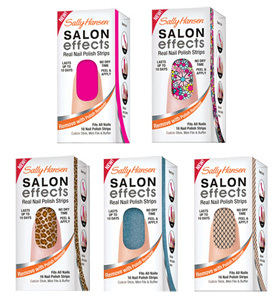 Get ready... Sally Hansen Salon Effects Nail Polish Strips! I never thought in a million years that these would actually work... I dismissed it as just another gimmick. Surprisingly, I started hearing really great things about them, and when I actually saw someone wearing them I thought they looked great! So... when I was at the drugstore the other night, I decided to grab a few. They weren't hard to apply, and the file and oragewood stick you need are included in the package. Mine lasted 4 days... I'm sure they last even longer on people who don't use their hands as much as I do. Anyway, I am totally stoked on these and of course I'm having fun mixing and matching different designs. I sometimes wear them too....they really last on the toes.